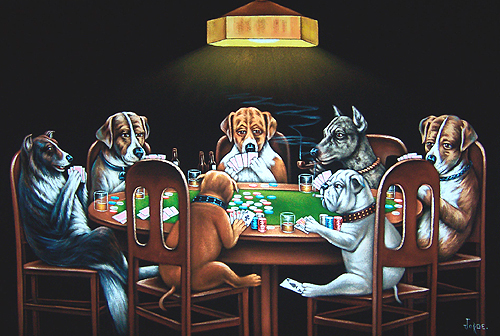 Last week I attended a small gathering of Dallas based web hackers and start up guys for a friendly game of poker. The stakes were small and the crowd (most of whom I just met for the first time) was made up of almost all dudes in their mid to late 20’s. The game was played on an oversized conference table at a local hacker / co-working space in Mockingbird Station. I busted out early but not before I “invested” a few dollars to the eventual winner’s fund raising efforts. The Cohabitat – is a coworking and gathering space for entrepreneurs, creatives and developers. It’s a funky turn of the century house that is home for a number of early stage companies and where meet-ups, user groups, VC roadshows, and networking events take place. Ask for Blake who is the tall skinny guy who runs the place. Start Up Happy Hour 2.0 – Hosted by Alex Muse (and his crew at Architel). The drinks are free and the networking is fantastic. You will find founders, co-founders, developers looking for gigs, Angels Investors, VC’s, lawyers, and even an occasional celebrachan sighting. Tech Wildcatters – DFW’s version of a micro seed incubator like Y-Combinator or TechStars. Congrats to Gabriella and team who just graduated their inaugural class of companies. It’s a tough model to get started and it takes tons support from local investors and advisers. Our city definitely needs one of these. LauchDFW – here’s a good online resource to read about what’s going on in the DFW start-up scene. Bradley does a great job keeping a pulse on promising start-ups in the Metroplex and big events that are happening in the community.